I have really oily skin, so as the day wears on, I get shiny, especially around my nose. The usual oil blotting papers are those thin tissue paper things. They can’t even begin to handle all my oil. I’d have to use an entire pack. 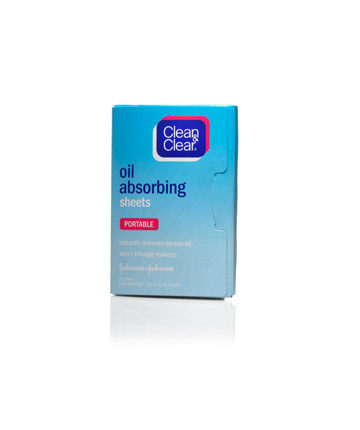 Clean and Clear Oil Absorbing Sheets are different. They are on some kind of blue colored plastic film, not tissue paper. They work really well at sopping up excess oil without smudging your foundation. You can buy these at any drugstore (in America) or online. Great to carry around in your bag for a quick makeup refresh or before photos are taken.